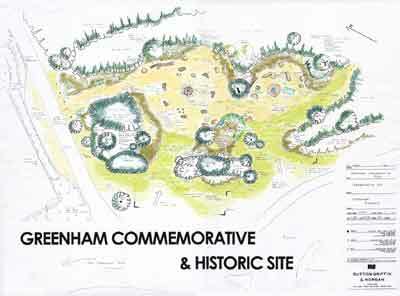 History: The original Women's Peace Camp on Greenham Common closed on the 5th September 2000 after 19 years of a continuous presence outside Greenham Common Airbase, now known as, New Greenham Park. The camp closed to make way for the erection of the COMMEMORATIVE & HISTORIC SITE on the land where the camp was. Design: The Site represents the four elements: earth, fire, water and air. A circle of 7 Standing Stones, from Wales, encircle the 'Flame' sculpture (symbolizing the campfire) A stone and steel spiral sculpture (representing the continuous reaching out work done at the Women's Peace Camp against nuclear weapons) Written into the Spiral is: "Women's Peace Camp 1981- 2000. and the words ~ You can't kill the Spirit ". The sculptor is Michael Marriott FRBS. There is also a simple garden for Helen Thomas, a young Welsh woman, whose life was taken from her when a West Midlands Horsebox drove too close to her as she stood on the safe zone waiting to cross the road, near the camp. Helen Thomas will be the only woman's name within the Site. The complete Landscaping of the site will include plants such as, Snowdrops, Snowflakes, Autumn Crocus, Wild Daffodils and Lily of the Valley. Other plantings include a variety of specially chosen British Native plants. An Oak sapling, rescued from the Newbury Bypass, is also included. 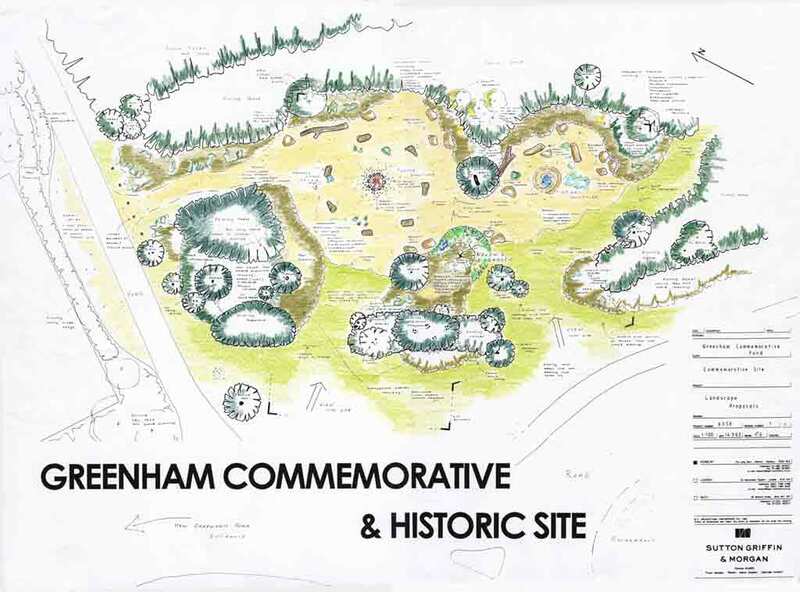 Greenham Commemorative Fund Appeal: When West Berkshire County Council granted Planning Permission to build the Commemorative & Historic Site, it was on the understanding that they would not be asked to contribute to it. Raising the money became the responsibility of a group of women who had lived at the Women's Peace Camp. The Greenham Commemorative Fund Appeal Collective was formed (names at the foot of this page). We have had great support from people who supported the camp over the years between 1981 - 2000. Now, as then, we are dependent on the good will and generosity of those who agreed with the nature of the protest and are willing to support this initiative to commemorate the work that the protest achieved. For those who wish to contribute, please send cheques to: Commemorative Fund Appeal ~ Dept. GCWPC, 15 Sydney Road, Wanstead, London E11 2JW. Tel, 020-8989-4819. Sarah Hipperson ~ Coordinator for Greenham Commemorative Fund Appeal Collective. Collective Names : R. Bremer, A.Chard, L.Graydon, S.Hipperson, J. Henjes, K.Howse, J.Hutchinson, M.Millington, I. Strang, J. Ekwurtzel, J. Thomas, F. Vigay, P. Walford, E.Wilson.